This document outlines the procedure for adding an user to the existing Provider Organization. Only the users having the role of Administrators and Security Admins can add users to the Provider Org. 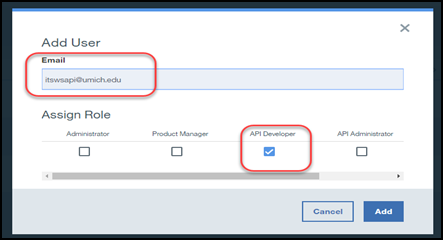 Before going into the product and granting the access, ensure the ServiceNow flow for the Join a Provider Org is completed. Once the API Directory / Service Management team approves the task in the workflow, Access and Accounts will get a task for granting the access. 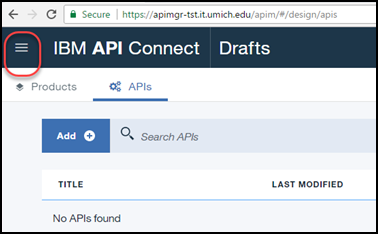 Log in to the API Manager using your UMICH credentials. 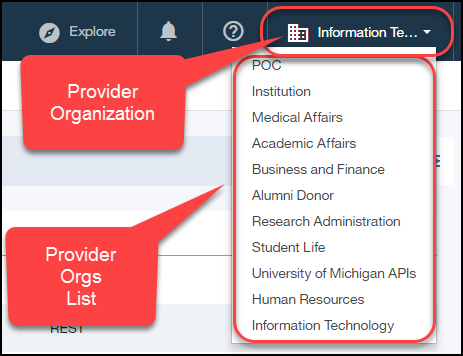 Select the appropriate Provider Organization from the top right corner. Enter the email address of the user and select the appropriate role referred to in the ServiceLink task. Check the details of the user and the role assigned to confirm change. Please contact apidir-contact@umich.edu if you have any questions.